Fortia Energía buys electricity in different markets and from different suppliers for its members’ factories, numbering more than 70. June 14, 2010. 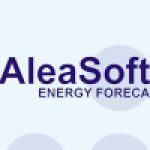 Fortia, the electricity buying platform for the large industry, has been using the energy price forecasting solutions from the Spanish company AleaSoft for more than one year, to manage the purchase of energy for its members. Fortia Energía was founded in September 2007 after the electricity market was liberalised and after industrial electricity rates were discarded. It acts as an agent in the electricity production market to buy electricity for its members. It consists of 17 industrial groups working in different sectors in the economy and has production plants in Spain. Its associates have 71 factories throughout Spain, in which 40,000 people are directly employed. Their turnover is approximately €15 billion and they represent almost 12% of industrial electricity consumption in Spain. Fortia’s mission is to buy electricity from different markets and energy suppliers for its associates’ industrial plants. In June 2009, Fortia Energía implemented AleaSoft’s energy price forecasting solutions, aiming to improve the management of energy contracts and to minimise risks. In order to do so, Fortia implemented the AleaPrice platform, which enables prices on the electricity market to be forecasted on the short and mid term. On the one hand, the short-term application AleaCP is used for making hourly price forecasts with a horizon of 10 days. On the other hand, the application AleaMP is used for making hourly price forecasts in the mid term and has a horizon of three years. AleaPrice uses automatic learning algorithms in its forecast engine, which capture the natural dynamics of price formation, updating the model when trend changes occur. Therefore, Fortia uses AleaSoft in its energy buying and marketing processes, which updates data and information every day about the variables that affect price: weather conditions, fuel prices, exchange rates, socio-economic variables such as demand, CO2 emissions market, etc. AleaPrice was developed in 2002 and since then it has been used by numerous power generating companies, which currently make up more than 60% of the system’s total generation. In the case of demand forecasting solutions, this figure increases to more than 95%.